I haven't posted in a while, as I am very busy selling my home in Loveland,CO!!! And I must tell you selling one's home is awful!!!!! You have to keep the house clean and NO TIME TO MAKE A MESS IN ONE'S STUDIO, UGH! 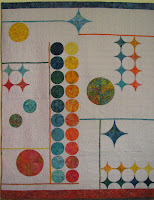 But I am also busy packing up my studio, trying very hard to pack only the stuff I may not immediately need. And of course when one cleans up, one finds some really good stuff. In my case I found some strata. 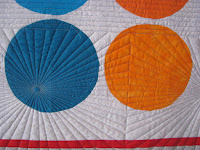 This strata was constructed from those great jelly rolls. My jelly roll was one that was cut 2 1/2" wide, and I had cut the wonderful coordinated colorful strips into 1 1/2" and 1" strips. And I had made strata with the 1 1/2" strips as well as a strata from the 1" wide strips. 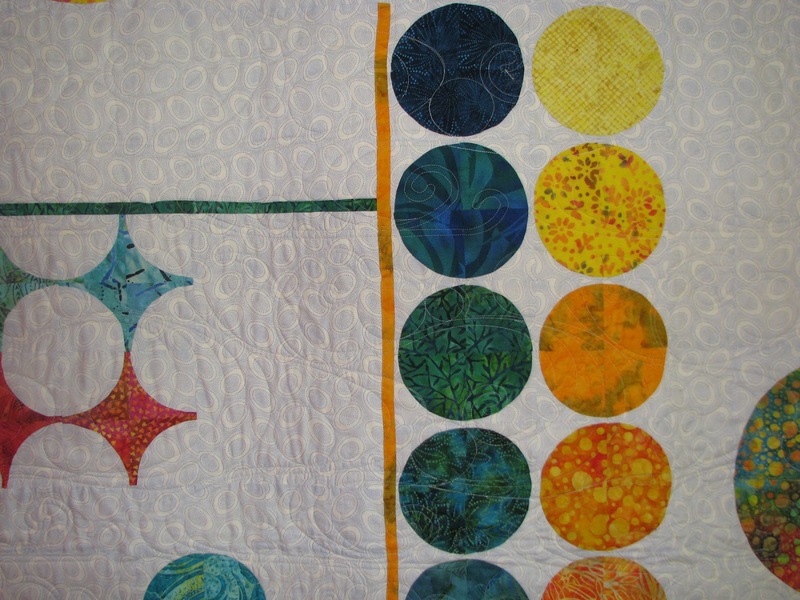 So what a nice find - two small strata already sewed ready to play!!!!! 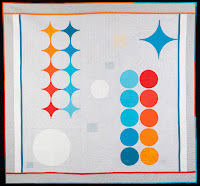 Well, as of late I find myself somewhat fascinated with the Modern Quilts. 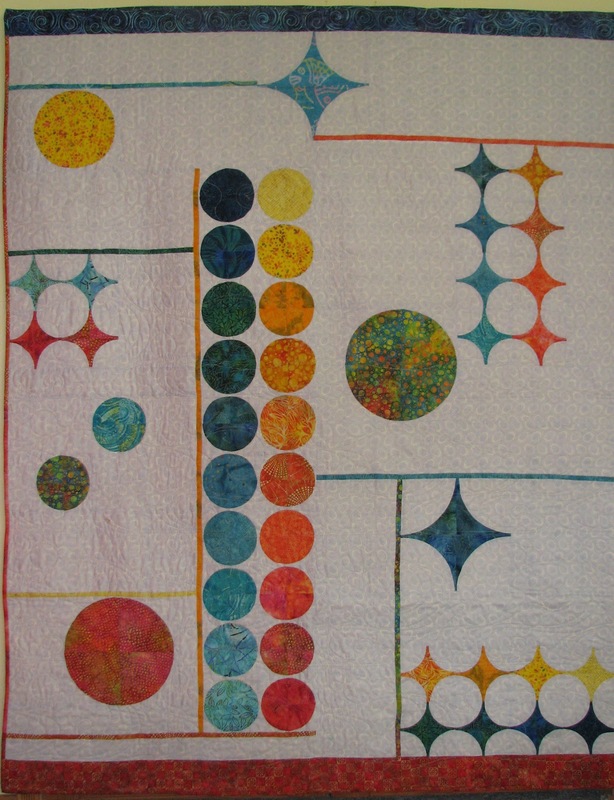 While writing my latest book "Double Vision" I have kept a watchful eye on these wonderful quilts. 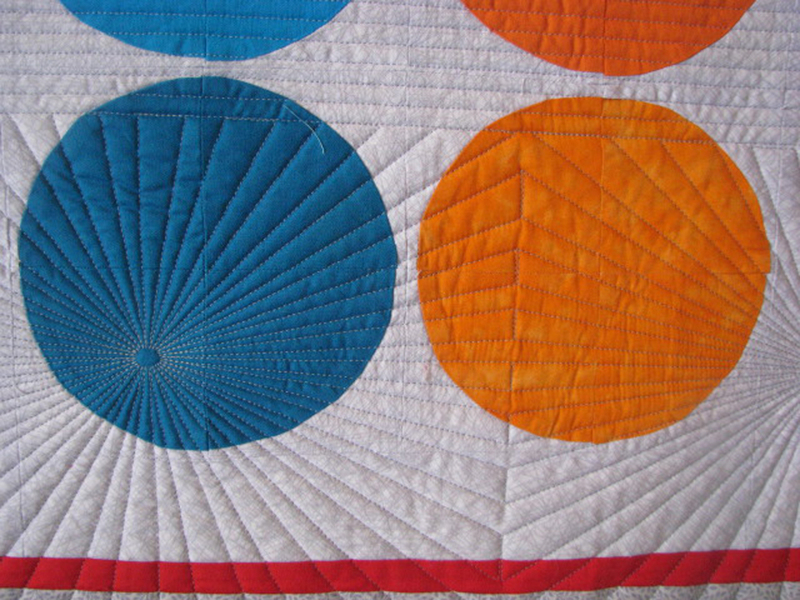 And since I like the emphasizes on color and the fact that they all seem to display a lot of negative space, (perfect for quilting) I need not tell you I think I am hooked. Their somewhat simplistic designs really interest me a lot. 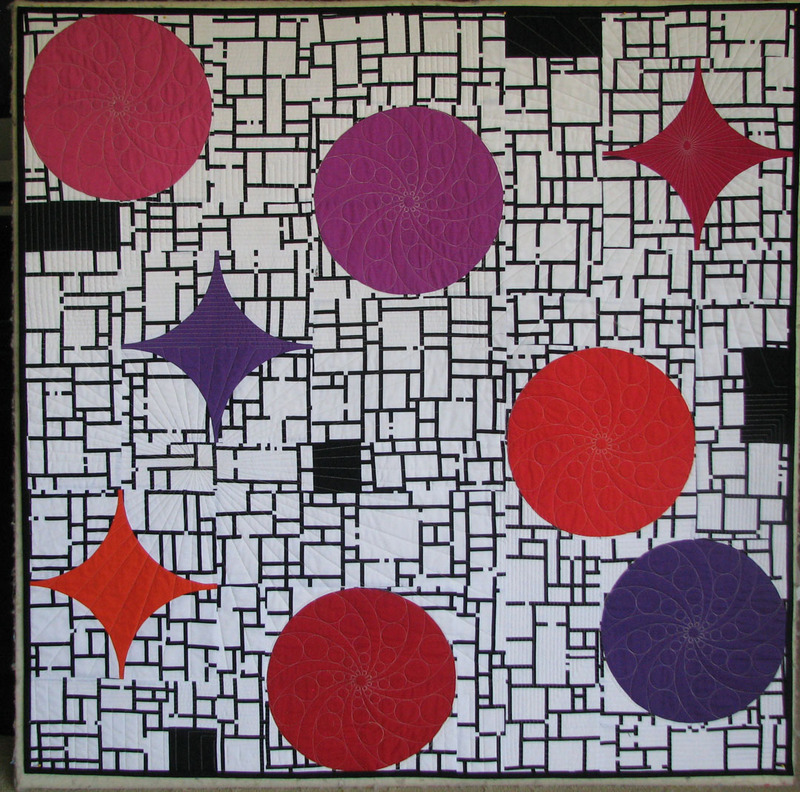 I will post some of my quilts here and see if you do not agree they are so much fun! 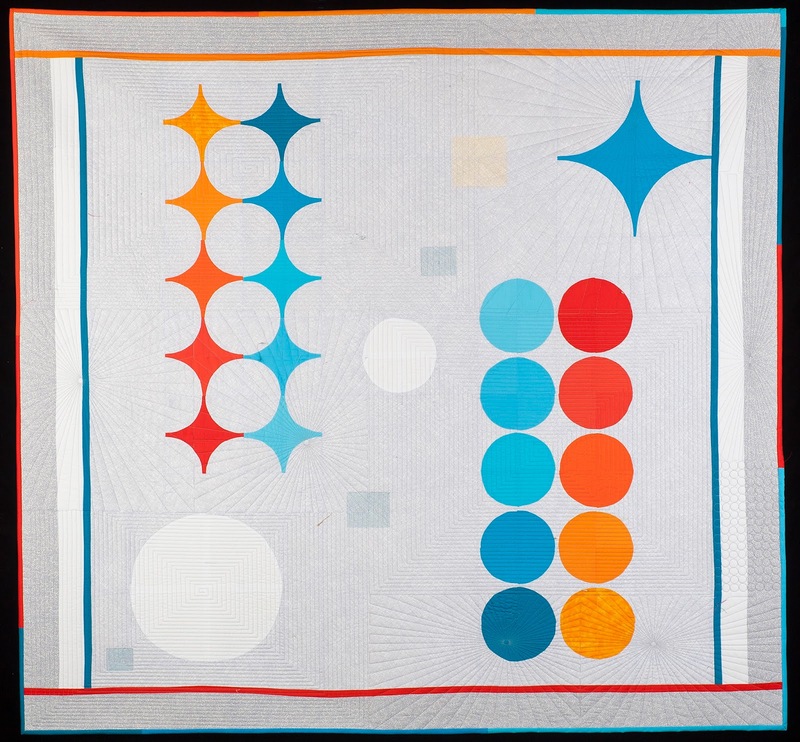 So here is the quilt top I created from these strata pieces and a wonderful background fabric that was white with silver alphabet letters printed on top. I had a ball. 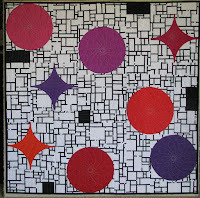 And here is the quilt I have created from the Jelly roll strata it is not completed but here are pictures of the quilt top.